In the spirit of my commentary on the night before election results in the 2016 US presidential election, I am writing my thoughts on the Ontario June 7, 2018 election night, publishing this minutes before the polls close at 9 PM. If various polling companies prove correct, with their predictions 24 hours before the election, Doug Ford’s Progressive Conservatives will form a majority government. And I will be very happy for Doug Ford. It will be quite the monumental event, with the general Leftist mass media contempt for him, and it is very significant, given that he had a failed run for Toronto mayor in 2014, and was likely to lose against John Tory in 2018. But, as fate would have it, he is set to win the premiership that John Tory would’ve won in 2007, had he not stubbornly personally insisted on a horribly unpopular pledge to resolve the matter of discriminatory public funding of Catholic schools by pledging full public funding for all religious schools. Sure, the PC’s never released a fully costed platform, and the numbers don’t add up in terms of the lost revenue from scrapping the cap-and-trade tax and spending promises, but they will tax and spend less than the Liberals and NDP. And he did indeed sound somewhat like a used car salesman and vacuous beyond his talking points at the third and final leaders’ debate, but the man is totally sincere. I had the fortune of meeting him in person in Kitchener for an early leadership campaign event. While Wynne and Horwath would’ve left after meeting with some people near the front after their talk, he stayed there, talking with everyone who was still there and interested in talking to him. As I waited patiently near the back, I noticed that he was taking his time to talk with everyone. And when he approached me, I put out my hand and said how great it was to meet him, and that I specifically took out a PC Party membership once Patrick Brown had been ousted from the party, and that I only wanted to vote for him. And, for the first time in my life, despite voting on my occasions since I was first eligible to in 1997, I voted for the winning candidate in any sort of election. Before Tanya Granic Allen had made it a big issue, I was separately aware of the significance and opportunity of the provincial government voiding bad hydro contracts without penalty, and not simply canceling them and losing money having to uselessly fight it out in court. So my main goal in addition to meeting him, was to convey on him the existence of this power of the provincial government, and to impress on him the importance of doing so. I didn’t expect the Liberals themselves to directly paint him as Trump, instead expecting the Star and other scoundrel mass media sources to do so, but they surprised me in doing so. Of course Ford is Trump-like in terms of his non-specifics, in exaggerating, but the comparison in the way that Trump was mostly portrayed in the US, is actually defamatory in the way it was used against Ford by people who should know better in Canada. Trump was and is mostly derided as racist, and Doug Ford is obviously the opposite of what even Trump was portrayed as, given that Ford Nation specifically made outreach to all racial and ethnic groups in Toronto, and that fact has been very confounding to the radical Leftist identity politics practitioners, specifically in the Liberal Party, and the Leftist media sources accounting for most of the Canadian mass media. I was a big opponent of Rob Ford once it was shown that he was using crack cocaine, because of the bad example that it was setting for the youth. I believe that public officials should be held to a higher standard, and what particularly irked me was fiscal conservatives who had no issue voting for him whatsoever, where those in high-level business positions would never tolerate such behaviour from a subordinate employee, nor even an executive, who would otherwise jeopardize their business. Remember when Washington D.C. mayor, Marion Barry, was the epitome of the rot of urban politics when he was known as the crack smoking mayor who got re-elected, and was rightly ousted by Congress? Yet Rob Ford was celebrated in a lot of quarters! That’s why, separately from Rob Ford’s addiction problems, he had no business staying in as mayor, and the provincial Liberals should’ve amended the Municipal Act to specifically grant Toronto council the power to remove him by a two-thirds majority vote. Only later, after Rob’s death, did I learn from an interview with Mark Towhey, that Rob Ford really developed his problems after the death of his father, and that Rob had always specifically struggled with trying to live up to his father’s high expectations, and felt that he could never do that, and that’s what had motivated his run for Mayor. Despite Rob’s shenanigans, I knew that Doug’s support of him was as a brother, and that his brother’s behaviour had nothing to do with how Doug himself would behave in office, and I knew that Rob’s missteps would not follow Doug in office. So from the first time that I had heard Doug Ford do his first interview when running for leader, I quickly got past my slight surprise of how he was comporting himself compared to the media caricatures that had been put out there. Then I heard a completely different person than that, directly answering questions, cleverly, but not in a cynical way — very straightforward and honest. And he did that for several interviews, including a prominent CBC one. And those criticizing him for limiting media appearances since he became leader, and particularly in the election, and during the second-half, it was mostly sensible, given the proven general media hostility out there. But as far as his success as Premier, it will be based on whether he acts more like the Doug Ford I saw in person at that early leadership event, and all the early interviews I heard of him. To the extent that he lets himself be controlled, and guards himself, and limits his media appearances, despite having four years ahead of him in a majority government, he will be only a mediocre Premier at best, instead of a great Premier, that he has the potential for. When Doug wins a majority government, I will feel very happy for him, specifically for his relationship with his late younger brother, and that his brother can truly spiritually rest in peace, and that Doug can feel some peace for what happened to his brother, and how he was unable to help him enough while he was alive. There will be some resolution for them, and for all of us who followed the Rob Ford saga. Doug’s victory will show that genuinely appealing to the people can overcome the odds, and cynicism and elitism of some, who felt that he was eminently disqualified for office because of being a non-Leftist populist, for even being a populist, for not hanging out in the social circles of most media and political elites, and for daring to go against their so-called conventional wisdom. So, on this election night, Doug, I offer my heartfelt congratulations for a campaign well-fought, given the odds against you, and for what you represent. So it’s the early evening of Election Day 2016 in the U.S., and most polls are showing Hillary Clinton ahead of Trump, fulfilling the purpose I thought he would, as controlled opposition to get Hillary elected, as I alluded to on this July 16, 2015 appearance (starting at 14:45). What tipped me off was back in 2011, when, after questioning Barack Obama’s eligibility for the presidency based on his country of birth was thoroughly discredited in the mainstream media, out pops Donald Trump to question it. He got lots of media attention like the View, and wasn’t viciously attacked as racist and a conspiracy nut in the same way anyone else would be, and after actual lawyers like Philip Berg who filed lawsuits got zero mass media attention. And then when Obama released a long-form birth certificate that some people were also questioning on the basis of a Photoshop analysis, Trump suddenly dropped the matter, saying Obama was born in the U.S. (Actually, natural born citizenship was clarified in the 1790 Naturalization Act as being conferred on those born to parents both already U.S. citizens, and not conferred based on place of birth, as the requirement of native born citizen would have done). And then, with his obviously staged publicity stunt dispute with host Chuck Todd of Meet the Press in early 2015, I was certain by the time he announced his candidacy in June 2015, that his intent was controlled opposition to get Hillary elected. And his later behaviour subsequently confirmed it for me all the more, because of repeatedly doing things to boost Hillary’s demographics that she was relatively poor in resonating with compared to past Democratic presidential candidates, particularly Obama and Bill Clinton. Namely, women, Blacks, and moderate Hispanics. So whether it was Trump making it sound to the untrained ear that most Mexicans were criminals (as opposed to the context of the “bad hombres” among the illegal immigrants in particular), or questioning the Mexican-American’s judge impartiality based on his Mexican heritage as opposed to being part of a “racist” group, La Raza, or musing that women may be criminally punished for their abortions, or repeatedly questioning Obama’s place of birth after he had laid it to rest in 2011, all those things served to boost Hillary’s flagging demographics. A sign of what would come if he were to be elected, or of him not being a serious candidate, was what I hadn’t even noticed had changed until the second debate, when he had replaced his initial call in December 2015 for a temporary ban on all Muslims entering the United States so they “can figure out what the hell is going on” to his August 2016 policy of “extreme vetting,” which is a poorly named term as it makes it look bad, compared to the predictable use of moderate-sounding words for bad things, like “enhanced interrogation” vs. torture. And I simply have to question what was the point of him repeatedly doing and saying things that boosted her problematic demographics for someone who demonstrated such a relatively polished image in The Apprentice in taking his time to make decisions and relying on the advice of his top advisers, instead of “shooting from the hip” as he repeatedly insisted on doing during the election campaign. And there were things he said and did in the campaign that he wouldn’t have tolerated from would-be employee contestants on his show, such as saying that he loves the poorly educated. For someone who has repeatedly bragged about getting his degree from Wharton and saying it was better than even Harvard, such a statement was naked political opportunism at best, and nudge-nudge-wink-wink controlled opposition disingenuous opportunism at worst. And when he felt he didn’t have the best debate performance at the second debate, he later blamed microphone problems, and that is laughable when you consider how fast he would fire a would-be employee contestant who did the same thing during one of their big presentations. Despite it being conceded that there was a problem with his mic, he wouldn’t have accepted from a would-be employee contestant to raise it after the presentation was over, and as a way of blaming a relatively lacklustre performance compared to the third debate which he excelled in. Instead, he would’ve expected of an employee in a leadership role the same thing he would normally expect of himself, in taking full personal responsibility. That being said, to rebut a key smear against Trump, he is no racist. He has only implicitly used race as a purely political tactic, in my estimation. There was an episode of the Apprentice where he quickly fired a contestant for referring to himself as White Trash, because of the contestant’s insecurities growing up in small-town White America, and one of Trump’s assistants, who was Black, said that sounded very bad of him to say that, and Trump ultimately fired the guy because it showed low self-esteem. In a similar way, Trump never treated non-White contestants with any less high standards, and, indeed a Black man was the runner-up in the first Apprentice and would’ve won were it not for thoroughly botching the last competition, and the fault was solely his own mismanagement of his team. As for Trump’s original Obama birth certificate stunt, that was a matter of him doing a service for Obama and dampening down any questions about his eligibility among any doubtful Republicans. His subsequent re-questioning of it in 2016 betrayed his controlled opposition nature in serving to boost Hillary’s numbers among Blacks, which were reportedly as low as 82 per cent in this recent poll, compared to 93 per cent for Obama in 2012, and also above 90% for Bill Clinton. It makes no sense, otherwise, because Obama wasn’t running for re-election and Trump was otherwise undermining his credibility as a decisive person in previously saying the matter was settled based on the long-form certificate. Having said all that, I think that Trump’s corporate tax policy is the right way to go, of lowering the top rate to 15%, as it has already been pointed out that with various write-offs that particularly large multi-national corporations get, the effective rate is only around 18%. That would level the playing field for the smaller corporations and bring a big chunk of the estimated $2 trillion in offshore or uninvested money back to the U.S. and re-invested. And for potential Supreme Court appointments, this is where Hillary would do the most damage, in appointing Justices in the mould of those Obama had appointed, who would continue their assault on the First, Second Amendment and Tenth Amendments, particularly, and read in false rights into the Ninth Amendment. On the other hand, Trump would appoint Justices in the line of Antonin Scalia, who would assault the Fourth and Fifth Amendments, in particular. On balance, Trump’s appointments would be crucially important, and represent a basis by itself of choosing Trump over Hillary. And with his immigration plan, Trump is absolutely right to say enough is enough with illegal immigration, and to call them illegal immigrants and not undocumented workers. It is very revealing when mass media outlets actually try to justify the continued presence of over 11 million illegal immigrants in the U.S. by pointing to the most successful among them and decrying as racist when some citations are made of the worst and most criminal among them. One of Trump’s glaring policy flaws, however, is his position on the Iran nuclear deal, where he has essentially been acting as Netanyahu’s water carrier and looking dovish compared to Hillary Clinton whose Clinton Foundation has accepted millions from Saudi Arabian donors, whereby Saudi is as anti-Iran as Israel, as we subsequently found out with her e-mails in being aware that Saudi Arabia was directly funding ISIS against Iran’s proxy of Syria’s Assad government. After sending a private e-mail to someone in a discussion group who was supportive of Trump after he had made his official campaign announcement, and pointing out that I considered him to be controlled opposition, I’ve said very little, except for some online comments here and there, as it is ultimately my opinion about Trump’s candidacy and most people have scarcely been exposed to witnessing first-hand controlled opposition and sneaky tactics that I witnessed in researching and exposing the AIDS scam. Just when there was evidently big support for an anti-establishment candidate, as seen from Bernie Sanders’ and Trump’s subsequent candidacies, Trump springs up on the scene as a big saviour. Fulfilling his role, Trump said so much that the White working class and other groups who have been getting the shaft by globalization and the mass media, have wanted to hear, and it is Trump’s billionaire status that left him uniquely able to claim that he couldn’t be bought and controlled by corporate special interests in the same way that all other major candidates have and would have to be, including two-time President, Barack Obama. Pat Buchanan, on the other hand, I regard as a legitimate opposition figure back in 1992, and would’ve been far better than Trump on policy, not even allowing NAFTA to get off the ground. The very fact that he didn’t ultimately get the Republican presidential nomination — despite winning the New Hampshire primary and challenging a later, very unpopular George H.W. Bush — is strong evidence to me that he had legitimate intentions and purely grass-roots backing, unlike Trump. 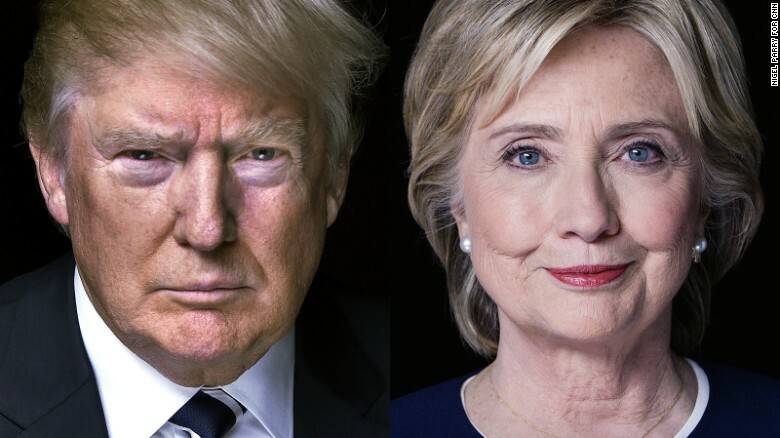 Despite Trump being intended as controlled opposition to elect Hillary, I have no doubt that his backers (and Hillary’s, being the same), would be fully willing to accept him as a back-up candidate, and the great news is that if he somehow does win, it will become manifestly evident once you know which clues to look for, that he is controlled opposition, once he has spent enough time in office. Whether it is a matter of him assaulting the Fourth and Fifth Amendments in a way that even Bush couldn’t, or whether Washington will be more gridlocked than ever, or that he may even be impeached and removed from office, his intent will later become obvious. I have to admit that I was somewhat shocked when he won the Republican nomination after facing a lot of initial resistance. But on the other hand, what good was he to Hillary if he didn’t? They had other candidates they could’ve used either to get her elected or win it for the Republicans with a neocon candidate like Jeb Bush, though they would’ve had to use more tricks. It was then that I thought that Trump could be intended to win as later controlled opposition as President, because he was no loser on The Apprentice. But then I was dissuaded from seeing that as a likely outcome by the fact that he would be okay in simply running standard controlled opposition for the sake of throwing the election to Hillary for the same reason that Bill Gates had no interest in running for President, which is that he wouldn’t have the power to order people around like he does in business. One really good service Trump did, despite serving as controlled opposition, was to expose the American and even Canadian mass media as generally radical Left-leaning scoundrels with all the low-brow, disingenuous, politically-motivated and beauty pageant attacks against him as opposed to a critical comparison of his policies compared to Clinton’s. If I were an American citizen, I wouldn’t vote for Trump, due to regarding him as controlled opposition, which is a shame, since on policy balance, he wins for me hands-down. May the American people make the right judgment today, and see you all on the flip side. From the “Socratic Assassin,” Jan Helfeld, from an interview he did in the 1990s, before the age of viral videos, with an increase in views from 6000 since 2008 to nearly 28,000 just in the past couple months now that Bernie Sanders is a declared presidential candidate. For more on Helfeld, see my articles here. A unique analysis of the upcoming October 19, 2015 Canadian federal election, with a focus on foreign policy and election stunts. I also talk about health care and Uber. 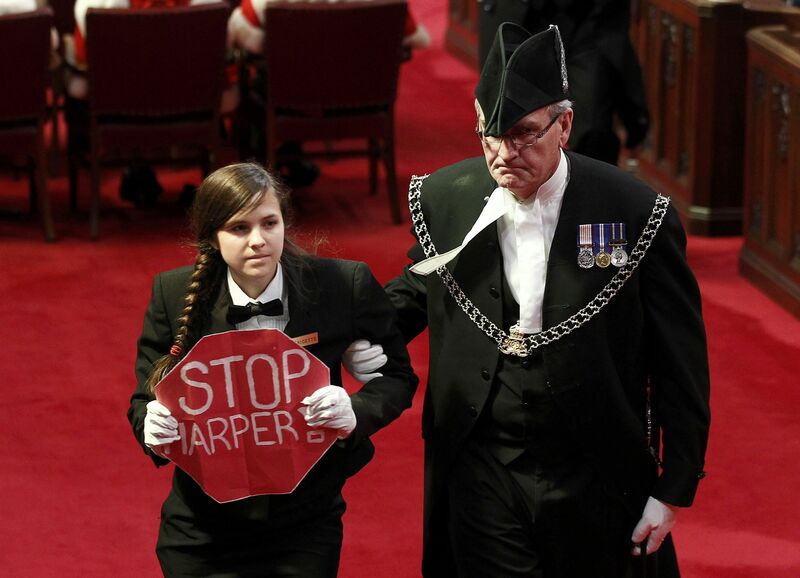 Brigette DePape, the Senate page who held up a “STOP HARPER” sign during the Conservative’s 2011 Throne Speech, and being escorted out by the Sergeant-at-arms for it, was a panelist on the October 6, 2015 episode of TVO’s The Agenda with Steve Paikin, on the topic of The Young and Disengaged, concerning the low youth voter turnout in Canadian elections. 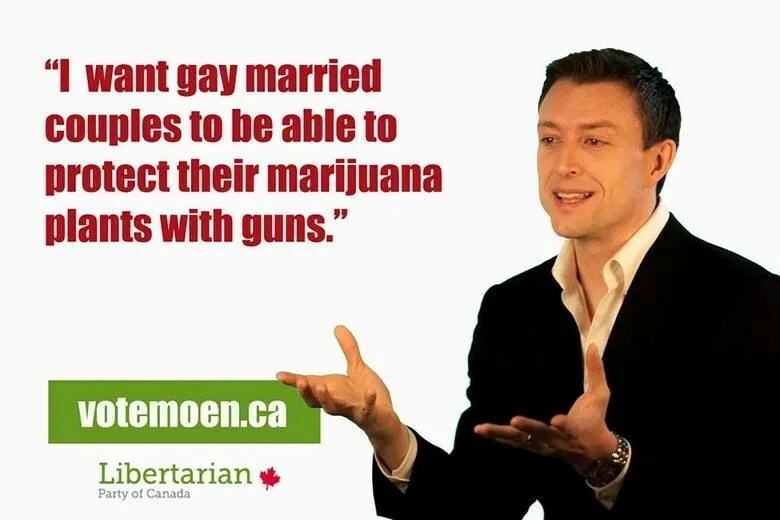 Now that the Canadian federal election campaign is ramping up with the end of summer after Labour Day, here is a Reddit Q&A with Libertarian Party of Canada leader, Tim Moen, from September 8, 2015.